1. Melt the cranberry jelly and divide between four tall glasses. 2. 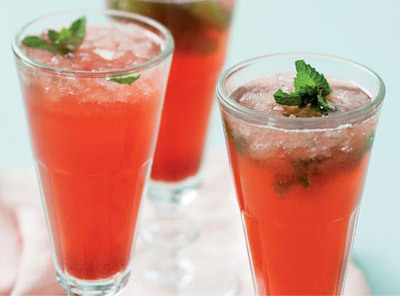 Add 1/2 cup cranberry juice to each glass and top up with 1/2 cup soda water and crushed ice. 3. Garnish with a sprig of mint and serve.